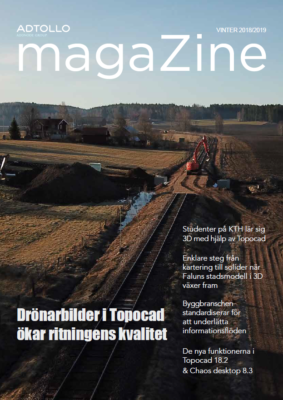 Topocad is a CAD system (Computer Aided Design) which in its structure is very close to geographic information systems, GIS. Topocad file contains data types from three different worlds – CAD, Coordinate files and GIS. In Topocad we have built a large number of features for managing land surveying engineering calculations regarding the map, measurement and cadastre. Data in Topocad can be stored either in file formats while retaining information about the entire map and property but also in geographic databases where some of the information are stored in a filter for different tables. The geographic databases can then be used by other systems in surveying such as GIS on the Web or analysis systems in GIS. In Topocad are templates for creating different types of products for land – for example, construction maps, site plans, stake out plans and cadastra l maps.